Hope everyone had happy holidays and a great start to the new year! I have actually been freelancing as a Makeup Artist for Too Faced at Macy's and Ulta, and when I learned about this launch I couldn't wait to get my hands on it! I was so happy when my husband purchased this palette for me for Christmas! 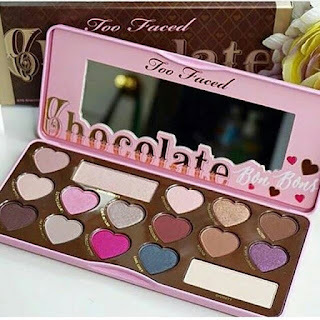 Its the 3rd release from the Chocolate Bar eyeshadow collection,preceding was the original Chocolate Bar,then Semi-Sweet. I alternate these palettes everyday,they have been my favorite shadows next to Viseart for the last year. The packaging is gorgeous..it's PINK! 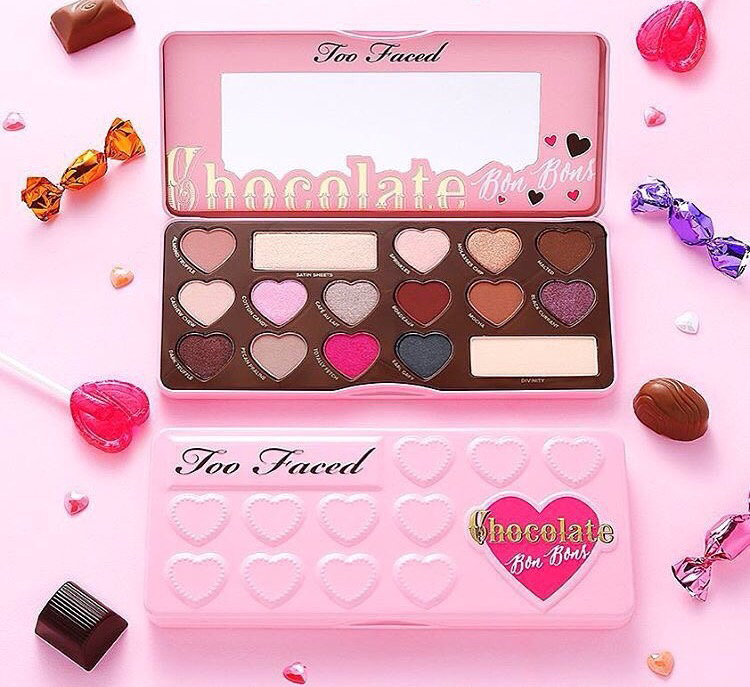 Like all of Too Faced products,their presentation is so cute and girly. Its smells like chocolate,it's infused with antioxidant rich Cocoa powder pigments which apply very smooth and creamy. The shades are neutral with pops of color,making it great for everyday use. It has quickly become my favorite palette. I really like the new heart shaped pans,it adds an extra feminine flair! I will soon do a Youtube video review swatching the shades. It's $49, same pricing as the others. It's well worth it in my opinion as it will last a long time with the pigmentation being so rich. You can get the palette here. What do you think about this new palette?